As a professional manager today, one of your biggest challenges is turning around difficult employees and dysfunctional teams. Your organization—and your career— depend on your ability to spot human problems and fix them — fast. This involves everything from persuading a valuable but contentious employee that collaboration really works, to developing a manager’s “executive credibility,” to building teams’ productivity and morale. And in today’s daunting litigious environment, the task of turning around challenging employees and groups drops right to the bottom line. Many executives have told us through the years that until they met us, they didn’t know where to find quick and lasting turnaround support. Communication Excellence Institute has been throwing a “lifeline” to top managers in business, health care, higher education, government, and the not-for-profit sector for over 20 years with approaches to turnaround as unique as you and your organization are. By building a climate of good communication and sensible management practice, we have helped many executives build a more productive and professional employment environment. 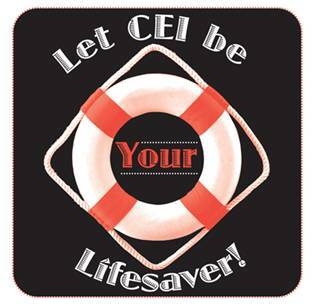 What do CEI’s “Lifesaver” services look like? Our desire is to offer you concrete strategies for turning around all aspects of your organization’s human operations. Who are we at Communication Excellence Institute? We’re a training, consulting, and research organization dedicated to promoting excellence in human communication in the professional workplace, especially when the stakes are high! We draw on our extensive knowledge and experience to handle practical issues in communication and management for business, health care, higher education, government, and not-for-profit organizations. Since 1986, we have shown hundreds of executives and technical professionals how to develop more powerful communication skills, build teams with their colleagues, create superior customer service, transform organizational culture and climate, and solve communication challenges. Communication Excellence Institute has been named one of the Top 50 Woman-Owned Businesses in California’s Inland Empire. My management team and I have gained the tools from our time with CEI to truly function as a team, and our company has benefited tremendously. The sessions our manager spent with you have vastly improved his communications with both subordinates and superiors, resulting in increased productivity for him and his staff. We have continued to send our managers to you because you get results. Every person who has been out to CEI has come back determined to put their new communication skills immediately into practice. I am pleased to report that changes you stimulated over a year ago are still holding. Keep up the good work! I went through one of your programs about 10 years ago…and many times since, I have realized how lucky I was to have worked with you. Thanks to our time together I am a much better communicator and effective leader. The skills I learned at CEI were especially beneficial during two major presentations to the Board of Trustees and Senior Managers at recent offsite retreats. Since coming to CEI, our Chief of Staff has made a transformation none of us could have ever imagined. He has begun listening intently to others’ viewpoints, even when they contradicted his own. He is channeling his high intensity into cordial relations with everyone around him. He has become more diplomatic and let his natural good sense of humor captivate us all. I encourage every hospital and medical center to take advantage of your great service for their Chiefs of Staff – and you can quote me on that! The lessons I learned from you both helped me become a better manager, father, and person. In every aspect of my life, I have stopped to ask myself, "How would Neal and Janet want me to say this?" before I opened my mouth. I can't tell you how many times you have saved me! As the two of you look back on what you have done, you can add a mark in the plus column for your success in helping me. I wouldn't be where I am, or probably quite who I am, without the lessons you taught me. You made a big difference in my life and for that, I thank you! The managers I have sent to you (myself included) for your one-on-one communication consulting have all shown marked improvement in the way they handle people, especially in tense situations. One person in particular had extremely poor people skills, but your efforts have truly turned this executive around, positively impacting his performance. You’re truly a “dynamic duo” of energy, fun, information and caring.